What Will the Austin-San Antonio Corridor Look Like in 2030? Two of Texas’ biggest cities -- Austin and San Antonio -- are on a population collision course. A LawnStarter analysis of projections from the Texas Water Development Board shows the population of the Austin-San Antonio corridor, made up of 13 counties, will catapult from 4.27 million in 2014 to 5.71 million in 2030. That would be a jump of nearly 34 percent. If the water board’s prediction turns out to be right, the Austin-San Antonio corridor will add 1.44 million residents in a 16-year span. That would be as if the current population of the entire Jacksonville, FL, metro area packed up and moved to the Austin-San Antonio region. Texas State Demographer Lloyd Potter foresees an “apparent merging” of population density along the I-35 corridor as the adjoining metro areas continue to grow. 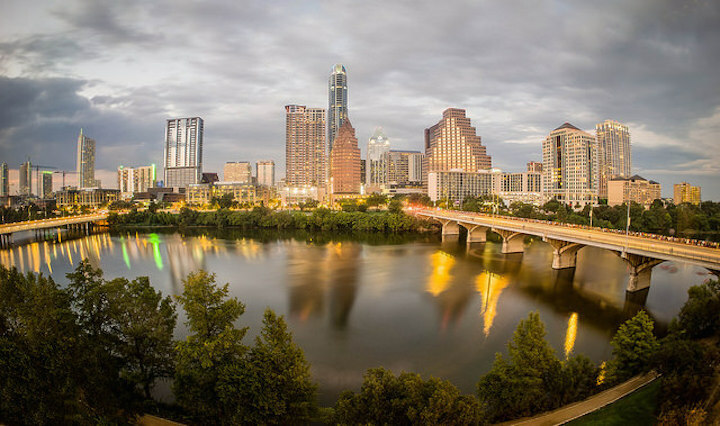 The cities of Austin, a tech hub billed as the “Live Music Capital of the World,” and San Antonio, a major player in the military and biotech sectors, are 74 miles apart. 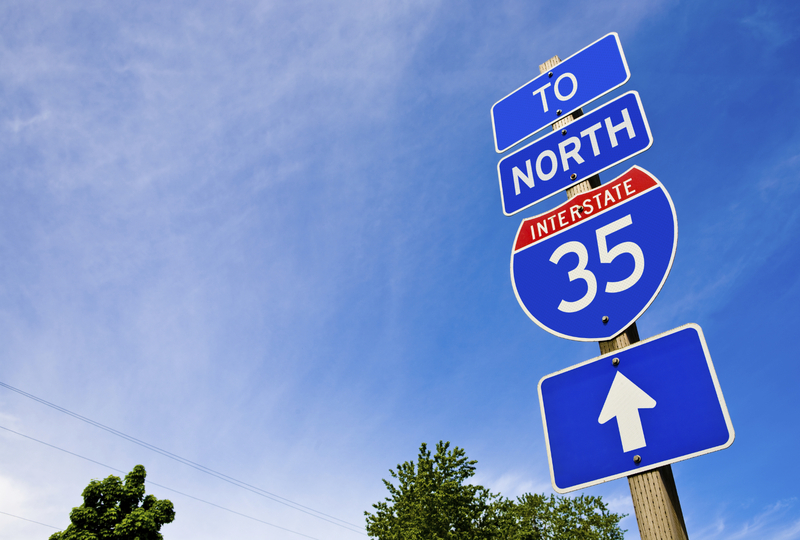 I-35 connects the two cities. By 2030, he says, more and more people will be referring to the corridor as Austin-San Antonio. However, Potter stops short of drawing a full-blown parallel with Texas’ already hyphenated mega-metro -- Dallas-Fort Worth -- as DFW’s economy and geography are attached more closely than Austin-San Antonio’s. Still, with Austin and San Antonio’s population density and economic activity becoming more strongly tied, Potter says it’s “reasonable” to make the DFW comparison. Demographics expert Steve Murdock, a sociology professor at Rice University in Houston, isn’t as quick to make such a comparison, though. While Potter expects San Marcos, a suburb south of Austin, and New Braunfels, a suburb north of San Antonio, to experience substantial growth, “the urban cores of San Antonio and Austin, with their character and economic activity, will continue to dominate the combined area,” he says. San Antonio Mayor Ivy Taylor points out that the combined area ranks as one of the fastest-growing regions in the country. As regional growth proceeds, Murdock warns that parts of the Austin-San Antonio area will lose some of their historically rural character, with those communities changing in “irreversible” ways. Nonetheless, Ross Milloy, president of the Greater Austin-San Antonio Corridor Council, envisions a vibrant Austin-San Antonio region in 15 years. “I like to think that by 2030, the corridor will be known worldwide as a center of art, commerce, technology and innovation, but still with its own unique culture and lifestyle. Hope I’m around to see it,” Milloy says. Here, we present an infographic outlining some of the big changes facing the Austin-San Antonio corridor. Free up more of your weekends and go explore the corridor growth! Visit our San Antonio lawn care and Austin lawn care pages to sign up or learn more!